Track where every election asset is at. Verify where and when assets arrive. See where assets have been and where they are going. Check in or check out assets instantly with barcoding technology. Save time and money. The AskED Materials Tracker is configurable to your specific procedures and processes. 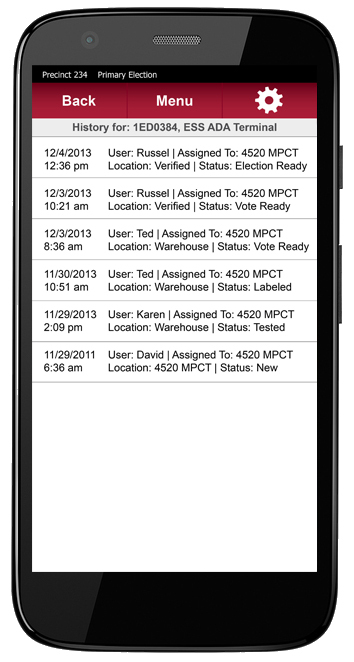 View the status of assets at every poll site with AskED's Command Center. Assign assets to different locations with the AskED Materials Tracker. 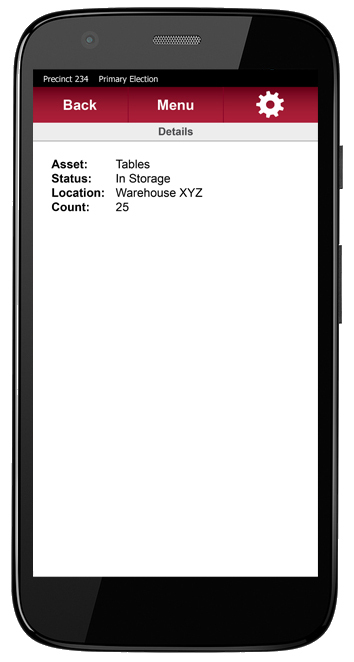 The AskED Materials Tracker shows you the status of your assets. 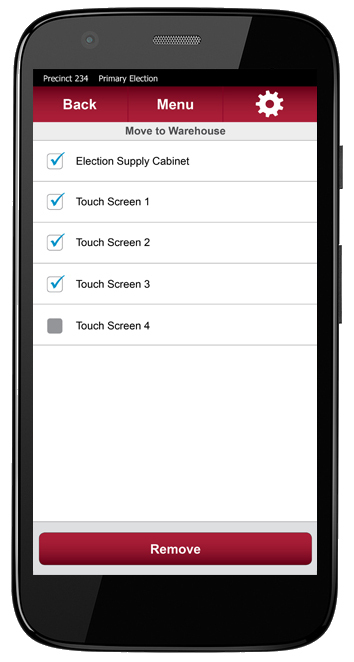 Track the history of election equipment with the AskED Materials Tracker. The AskED Materials Tracker does not require a connection to operate. Alert users when equipment or supplies don't match the correct location. Synchronize data between multiple locations via encrypted communication. Store election equipment service history on the AskED Materials Tracker. Multiple safety features are built in, securing and protecting data. Assign user-based roles to enable access to specific functions and reports. Know exactly where every single election asset is located, where it has been, who has had it, when, and for what reason. Send updates to election scanners from your office. Remote configuration allows you to make updates or access reports anywhere, anytime. Administrators are able to monitor all AskED Materials Tracker units from a centralized portal. Access reports in real-time with the AskED Materials Tracker web application. Pinpoint exactly which assets are outstanding and those that are in route. The AskED Materials Tracker eliminates discrepancies between what should be happening and what actually is happening.